Keep an eye out for our poster now up and around the Peninsula! How Many Oysters Can You Eat in 30 Seconds?! 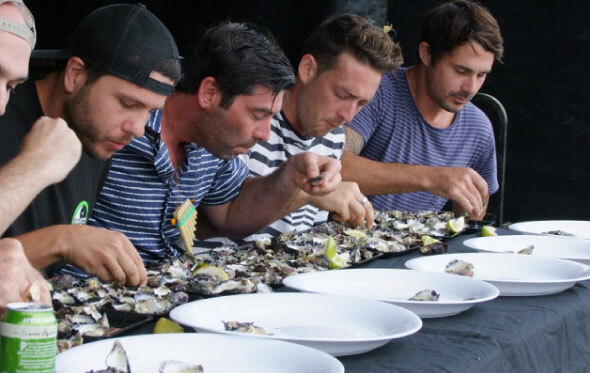 Ever watched people competing to see how many oysters they can eat in 30 seconds??... 'How Many Oysters Can You Eat in 30 Seconds' sponsored by Radio 2GO 107.7 107.7 / 91 9 91 9 Sea FM is a highlight of the day!! Thanks to Rockin' Oysters for supplying the oysters to eat! If you want to enter the competition please click here to submit a form. We will contact all successful applicants in October!